The Skylimit Events team organizes well planned track days, with a relaxed atmosphere, like-minded Nürburgring enthusiasts and offer high quality track time. They are our go-to event, for both beginners and regulars. There are two driving options available: A full day entry from 08:00h - 16:30h for 780€ A half day entry from 12:00h -16:30h for 540€ Book your half day or full day track day through us! 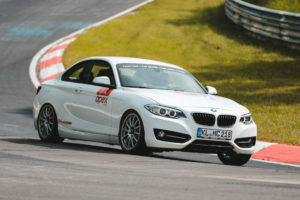 BOOK HERE NOW Don't hesitate to reach out to us for further assistance, we offer many solutions to optimize your trip: Rental cars for your track day, luxury hotel for your stay in Nürburg as well as performance driving instruction.